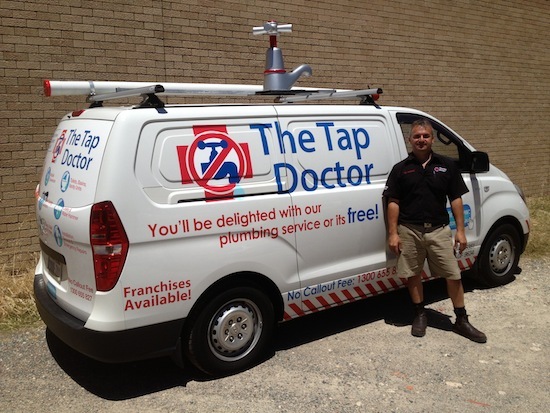 The Tap Doctor was established in 1994 in Western Australia and now has over 45 franchisees throughout Australia. The Tap Doctor franchisees are all licensed plumbers and offer fast and efficient mobile plumbing services to residential and commercial customers throughout Australia. As a national franchise The Tap Doctor was seeking to raise their profile nationally to attract new franchises and customers, and at local territory level, to generate local leads for individual franchisees. Given all Tap Doctor franchisees are family men and the Tap Doctor culture is one of teamwork, professionalism and fun there was a natural synergy and empathy with the charitable organisation Camp Quality. Camp Quality is a national charity committed to bringing optimism and happiness to the lives of children and families affected by cancer through fun therapy. In 2008, Camp Quality achieved nationally, more than 140 camps (2-7 days), more than 220 one day activities, financially supported hospitals throughout Australia, conducted 1,500 puppet shows, puppets visited their 3 millionth child, provided financial support to hundreds of families and rebuilt a stronger and more robust remote controlled robot, Giggle. The objective of the Tap Doctor and Camp Quality alliance is to raise up to $10 000 for Camp Quality to hold a Tap Doctor funded family camp and in turn raise the awareness and brand equity of The Tap Doctor. Information sessions were held at each Camp Quality state office for franchisees and their partners to educate and engage each franchisee about Camp Quality. In Queensland the first activity developed was a Family Fun Day to be held in the North Brisbane Tap Doctor territory in March 2009. Hilary Knights tapped into local business groups such as the local Chamber of Commerce and Westpac to engage local small businesses and in turn access their networks and distribution channels. The Australian Red Cross Service who manned the raffle and show bag stall. Northern Business Consultants had lots of fun handing out Tap Doctor and Camp Quality balloons on the day. After 250 balloons they were very pleased they had sponsored the cost of the helium canister! Local childcare centre, Lizards Early Learning Centre kindly provide all the face painting, colouring in and play doh on the day which was one of the most popular stalls on the day. Kickbike Australia provided demonstrations of their unique bikes. AFL Auskick also took part providing lots of giveaways and fun activities on the day. Regular demonstrations Pacific International Taekwondo. Major supporter Westpac organised and slaved over their BBQ on the day raising over $600 for the cause. In additional we sourced external suppliers to provide and man the carnival rides, a coffee cart and a snow cone vendor who all kindly provided Camp Quality with 20% of their takings from the day. Hilary Knights also obtained numerous raffle prizes, which were drawn throughout the day thus raising more money for Camp Quality and a sense of excitement for the crowd. It also gave the Tap Doctor the opportunity to mingle with the crowd and introduce themselves. Wow Event Management provided and manned, a PA system so we were able to interview all supporters about their services and businesses which again provided them with additional exposure to their local target market. The Tap Doctor raised over $2 600 for Camp Quality from the day! Secured extensive exposure throughout local media including a full page feature on the Family Fun Day sponsored by local businesses (that is, at no cost to The Tap Doctor). A full up quarter page advertisement thanking all the contributors again at no cost. Radio coverage on 4BH advertising the event and The Tap Doctor. Photo opportunity with Wayne Swan Federal Treasurer who donated a bike as a raffle prize given the Family Fun Day was held in his electorate. The photo will also be included in the Treasurer’s upcoming local electorate newsletter. The establishment of numerous business contacts and leads in the north Brisbane Tap Doctor’s territory. Captured numerous potential clients’ details through the Tap Doctor’s competition draw, for future marketing. The opportunity to showcase The Tap Doctor at a local Westpac branch as business of the week. Exposure at all north Brisbane Westpac branches during the lead up to the event who were displaying the poster and flyers. Introductions to many new potential alliances such as Westpac, local businesses and suppliers who are continuing to support the Tap Doctor’s fundraising campaign and of course Camp Quality. Camp Quality also had the opportunity to showcase their organisation at WBC’s Business of the Week in branch display in the lead up to the Fun Day and brief WBC staff on their vision and objectives. The Queensland Tap Doctors were thrilled with the day and were keen to hold their next fundraising activity. Plans are underway for a second Family Fun Day in The Tap Doctor Brisbane West’s territory.